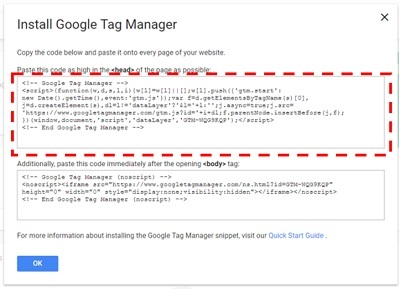 In this article I will show you how to correctly install Google Tag Manager on your WordPress Website. 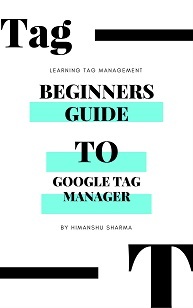 Step-1: Understand what Google Tag Manager really is. 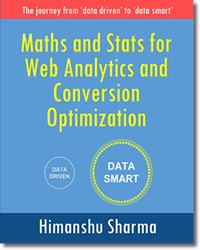 In a nutshell it is a free online tool which is used to deploy and manage various tags on your website. 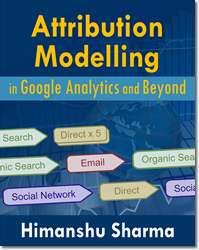 Google Tag Manager (GTM) is not the same as ‘Google Analytics’ (GA). 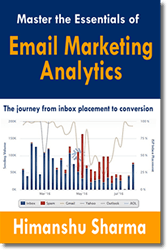 So Google Analytics is not automatically installed on your website just because you installed GTM. 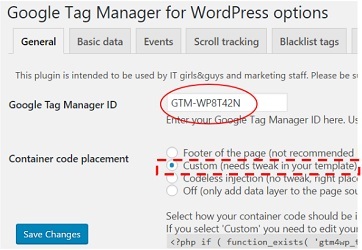 Step-2: Get an ‘Admin’ access of the wordpress website where you want to install GTM. 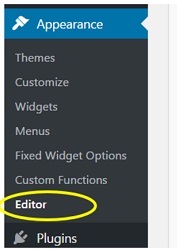 Note: If the wordpress Appearance Editor option is missing then it means either you do not have the ‘admin’ access or because of some security settings, the option is hidden. A wordpress theme is made up of several template files like: header.php, footer.php, , sidebar.php, functions.php etc. All of these template files work together to create your website design and functionality. The template files make customization possible on your wordpress website. The more template files your theme has got, the more customization you can do on your website. The name and number of template files vary from theme to theme. So some theme may have got ‘header.php’ file and some theme may not have any such file. It is also possible that some themes refer to ‘header.php’ file by some other file name. In some themes, it is possible to add a code both in the head and body section of a HTML document via headers.php file while in some other themes it may not possible to add any code in the body section of a HTML document via header.php. It all depends upon how your theme has been coded. That’s is why it is important that before you add/edit any code to your wordpress website, get familiar with your theme template files esp. 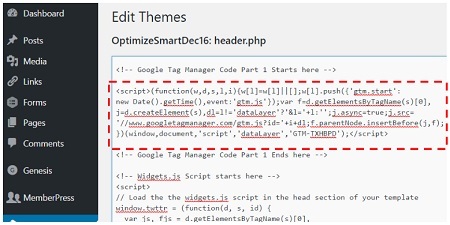 the template file which is responsible for generating headers and navigation on your website. In most cases the wordpress template file which generate headers and navigation is named ‘header.php’. Through this file you can make changes to the head section (<head>…..</head>) of each web page on your website. In many themes, this file also let you add code immediately after the opening body tag (<body>). If you are using a wordpress theme framework (like ‘Genesis’) then most likely you use two themes instead of one. These two themes are called the parent theme and the child theme. The parent theme contains all of your website’s core functionality. 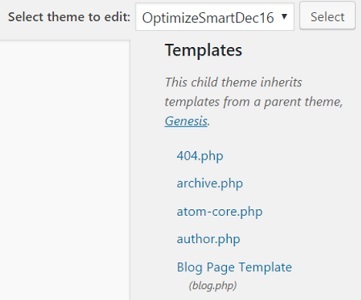 The child theme inherits its functionality from the parent theme and is used to add custom styling options. So use the child theme to do whatever customisation you want to do (like adding the GTM container code) on your website. 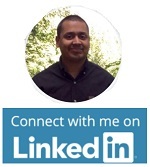 Leave the parent theme intact. The advantage of using a wordpress theme framework is that you can easily update your theme without the risk of losing custom styling. Your customisation won’t automatically disappear with next WordPress upgrade. Step-5: Find the name and location of the template file through which you can add a piece of code in the head section (<head>…</head>) of each web page on your website. Most likely it will be ‘header.php’ template file. But it could also be something else. Step-6: Find the name and location of the template file through which you can add a piece of code immediately after the opening body tag (<body>). Most likely it will be ‘header.php’ template file. But it could also be something else. For example, if you use genesis framework, like I do then there is no easy way to add a piece of code immediately after the opening body tag. So I asked my child theme developer to provide me a way to add a code immediately after the opening body tag. You may need to come up with such workaround. Your theme developer can help here. Note: If for some reason you can not find the name and location of the template files through which you can add a piece of code in the head section (<head>…</head>) and a piece of code immediately after the opening body tag (<body>) on each page of your website then contact your theme developer. 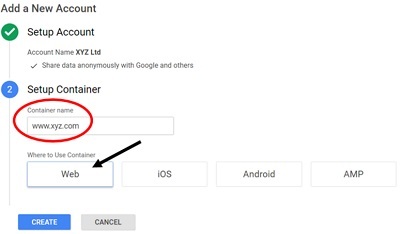 Step-8: Navigate to https://tagmanager.google.com and then login, using your Google username and password. Step-12: Click on the ‘Create’ button. This code is made of up of two parts. The first part goes into the head section of your web pages and the second part goes into the body section. Note: Take a backup of your theme template file before you make changes to it. So if something goes wrong, you can easily revert back to the last known good configuration. Step-15: Click on the ‘Update File’ button to save the changes made to your theme file. Step-17: Click on the ‘Update File’ button to save the changes made to your theme file. 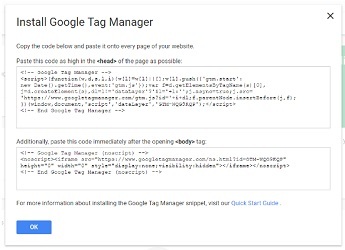 If you see the debugger window, then it means the Google Tag Manager is installed on your website. 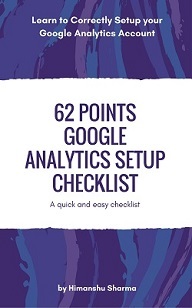 It is important to remember that at this stage you have not yet installed Google Analytics on your website. 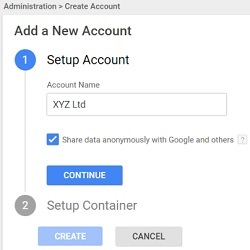 You have installed only the GTM container tag on your website. 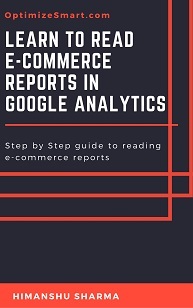 In order to install Google Analytics on your website, you would first need to create a tag in GTM which fires Google Analytics pageview on all the pages of your website. Then you would need to preview and publish your container. 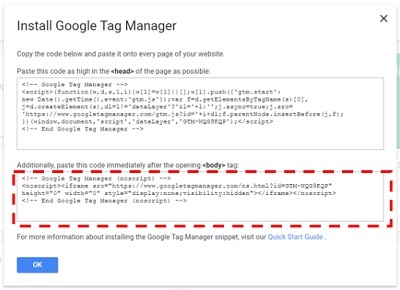 That’s how you can install Google Tag Manager on your wordpress website. I am not a big fan of using plugins and use them only when it is absolutely necessary. The biggest downside of using a plugin is the lack of control on the code, placed on your website by the plugin. Other minor issue is that use of plugins negatively impact your wordpress website speed. So I try to minimise the use of plugins, wherever I can. You can also install GTM on your wordpress website via a plugin. But you may still need to make some code changes in your wordpress template file(s). 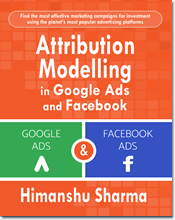 The advantage of using a plugin is that, you can take advantage of the added functionality provide by the plugin. I find the DuracellTomi’s Google Tag Manager for WordPress plugin quite useful. 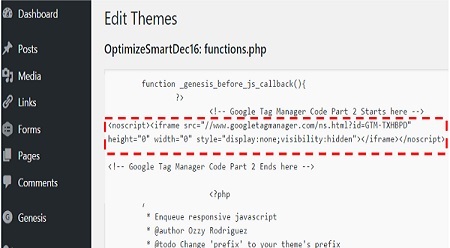 #1 If you are using a genesis child theme then you can install GTM on your website without making any code changes to your template file(s). However after the installation, test whether this plugin is compatible with your website theme. If the plugin is not compatible with your website theme then you can either uninstall it or you can ask your theme developer to make your website theme compatible with the plugin. 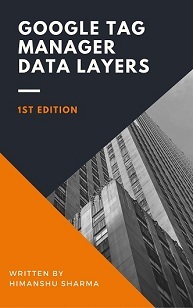 #2 You can easily push lot of information (related to: blog post, site search, visitors, browser etc) into data layer and then later with the help of data layer variables you can send this information to Google Analytics. #3 You can enable scroll tracking and/or video tracking. #4 You can blacklist various tags and variables. #5 If you use woocommerce then you can set up ecommerce tracking or enhanced ecommerce tracking on your wordpress website. Note: There are many plugins available through which you can install GTM on your wordpress website. You can search for them in the ‘Plugins’ section of your wordpress admin panel.